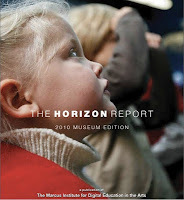 I just finished reading the 2010 “The Horizon Report - 2010 Museum Edition” and I would encourage you to do the same, with a view to considering how you can stretch the horizon described in this report to include libraries. Museums, like libraries, are faced with the challenge of increasing their visibility and strengthening their relevance and value in an era when its targeted users would rather look at Facebook and preferably on their mobile phone. The report challenges museums to embrace a wide range of new technologies. “According to a recent Garner Report, mobiles will be the most common way for people to access the Internet by 2013” (page 9). The real value of social media. 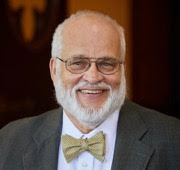 “In the way that they encourage a community around the media they host. Users can talk about, evaluate, critique and augment the content that is there – and do so in tremendous numbers.” “Social media allow users to collaborate and engage one another.” (page 13). Think about what would happen if we did that with library content, particularly in academic settings. This is really the kind of activity I was talking about in my recent post about the collaborative we really need. This report sees a similar opportunity. “features content layers that may include ratings, reviews, advertising, or other such information to assist consumers on location in shopping or dining areas” (page 16). It doesn’t take much imagination to see what we could do with this in academic libraries. Bringing information to life takes on a whole new meaning with this kind of technology. “The screens of the iPhone.. react to pressure, motion and the number of fingers touching the devices. The iPhone additionally can react to manipulation of the device itself – shaking, rotating, tilting, or moving the device in space.” (page 24). “the direct and satisfying personal connection of an individual with the object” (page 25). We’re seeing some initial uses of this with assorted mobile library applications, but this report helps you to imagine new and creative ways it might be further embraced and deployed. “Semantic searching is currently used primarily to streamline scientific inquiries, allowing researchers to find relevant information without having to deal with apparently similar, but irrelevant information.” (page 28). No doubt we can benefit from this technology in libraries. The report cites numerous real-life examples for each of the technologies and gives further readings. You’ll find ideas that can be readily stretched to include libraries. I always encourage stepping back from challenging times and situations to take a different view of them. Reading this report about how museums are thinking of applying technology to their operations makes for an intriguing and invigorating read for us as librarians. It bears enough similarities to provide the opportunity to see how what is being proposed there (museums) could be applied here (libraries). It’s an exercise that we as librarians should do more frequently in difficult times. Most importantly it can give you a horizon that makes you feel excited about moving towards it.